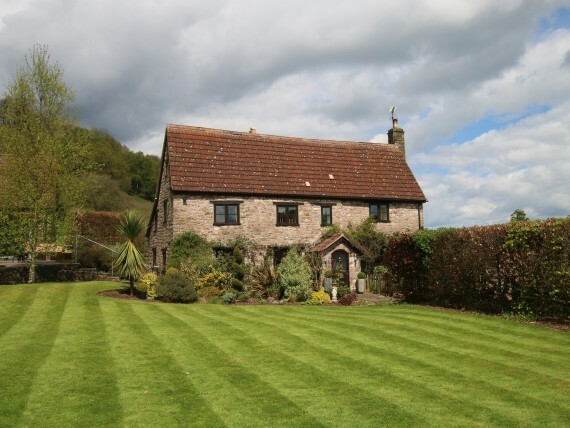 The Stables is a traditional stone barn which nestles perfectly into the countryside adjacent its own meadow. Inside, the glass fronted woodburning stove and underfloor heating (heats 24/7) from the air source heat pump creates a lovely cosy feeling whilst modern furnishings ensure stylish appeal. 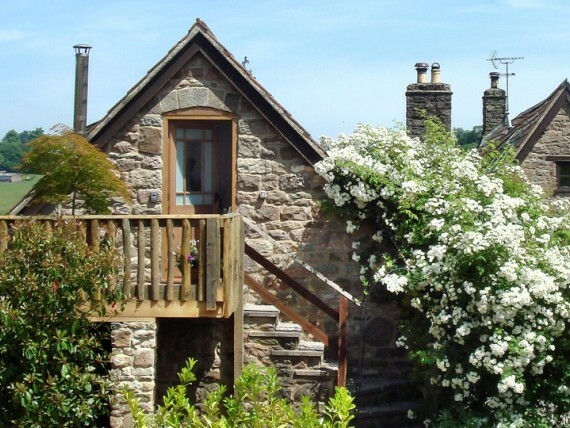 This beautifully appointed self catering holiday cottage can comfortably accommodate 6 guests including those with mobility issues, with a groundfloor en suite bedroom, and ground-floor cloakroom. There is a secure garden suitable for children or your dog (by prior arrangement) complete with a terrace and garden furniture. 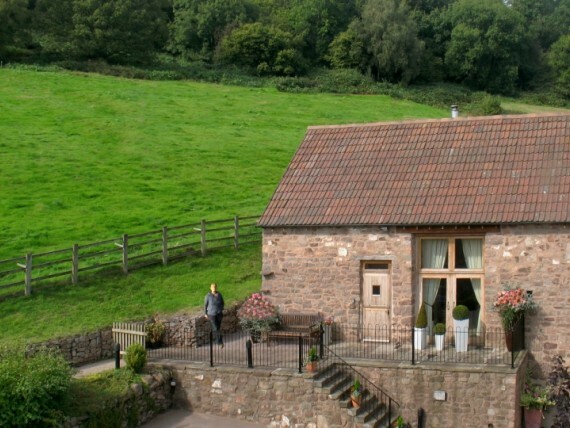 Your stay at the Stables includes the use of the very secluded Woodland Hot Tub. This area has a changing room with wc with garden furniture and glassware suitable for outdoor use. The hot tub can reserved on site. The 27,000 acres of Forest of Dean are just a stone throw, traffic free, stroll away and is a wonderful place to have free-range children. Secluded romantic bolthole for two! 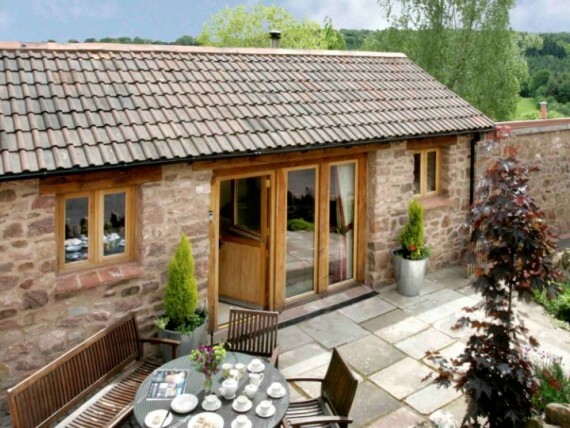 This award-winning, detached pretty stone barn with a large balcony has access to an indulgent Woodland Hot Tub.